Due to unanticipated immigration/visa issues, Justin Currie's US dates this month have been postponed until September. Apologies to anyone who was planning to see Justin (with The Compulsion opening) in Chicago and Evanston on April 24th and 25th. Full details and Justin's note are on his Facebook page. 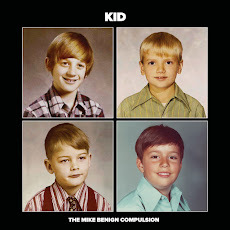 You can still catch The Mike Benign Compulsion at Elbo Room in Lincoln Park on Friday, May 9th at 8:30. So please do that. Rock on, Land O' Lincoln!